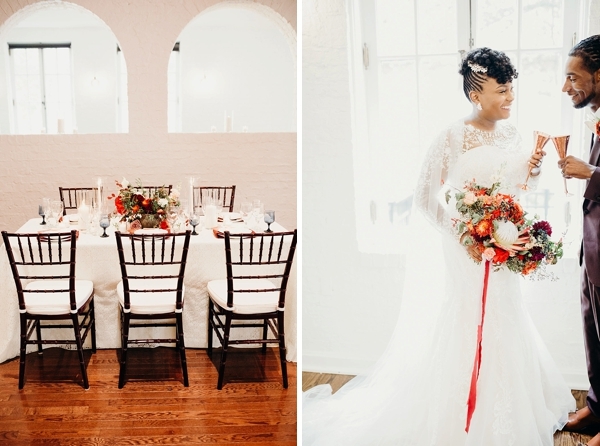 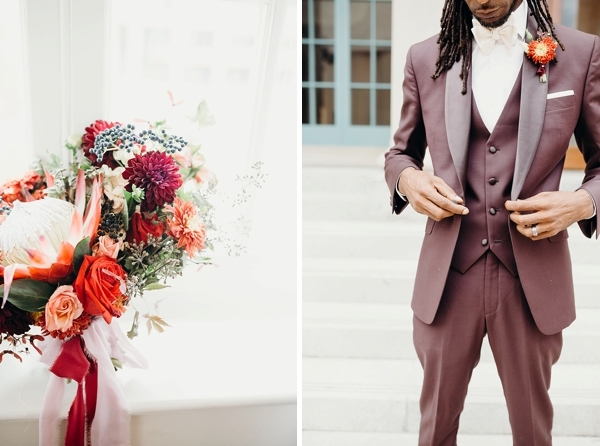 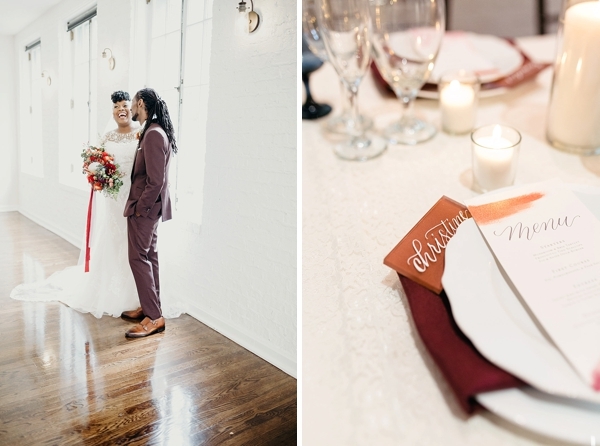 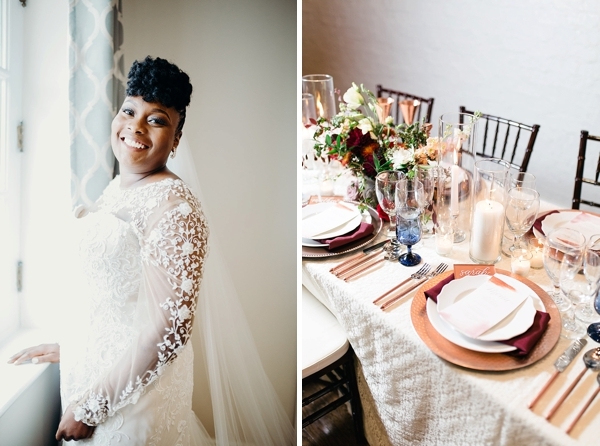 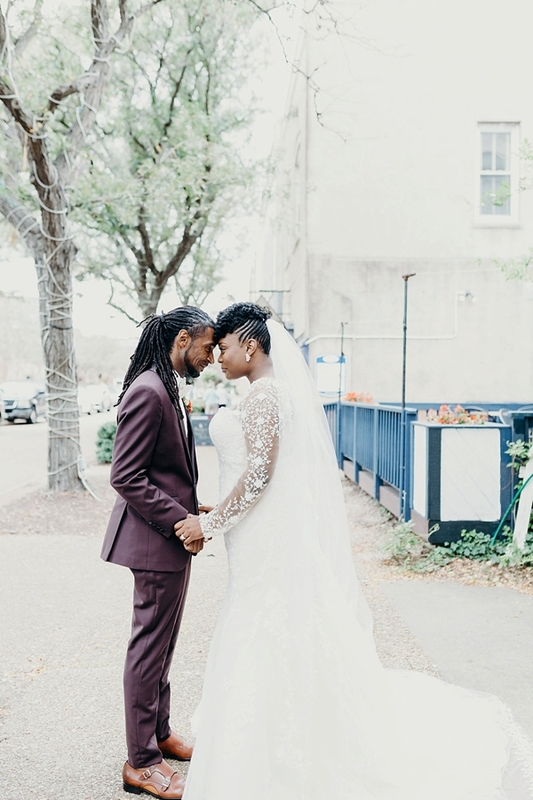 We aren't sure there will ever be a day when we get tired of copper, and this warm metallic shines on centerstage in this modern wedding inspiration shoot in Hampton! 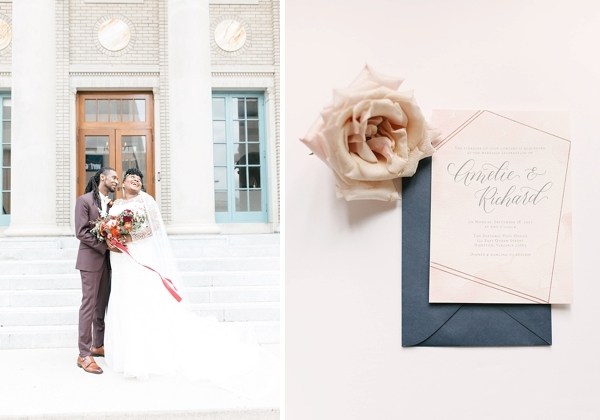 With The Historic Post Office as the perfect modern old world backdrop, stark white brick walls make all the jewel-toned colors pop. 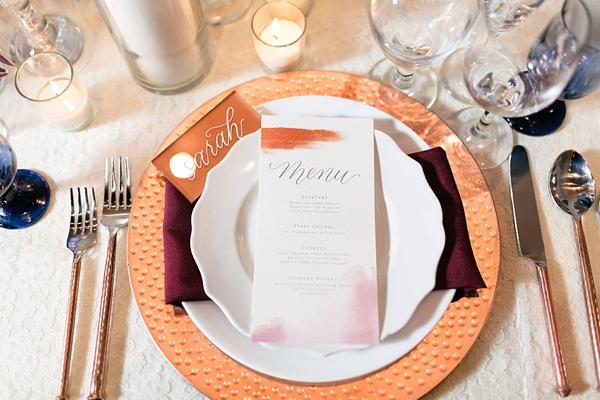 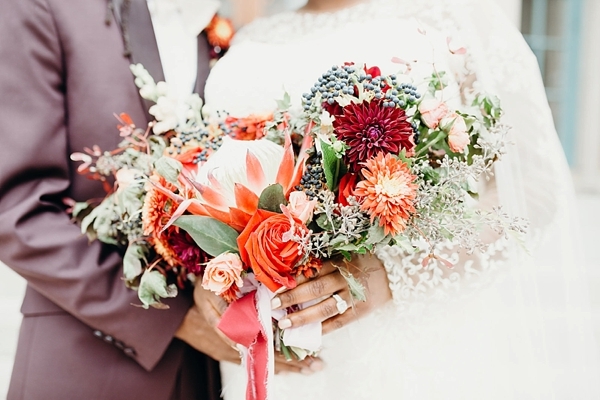 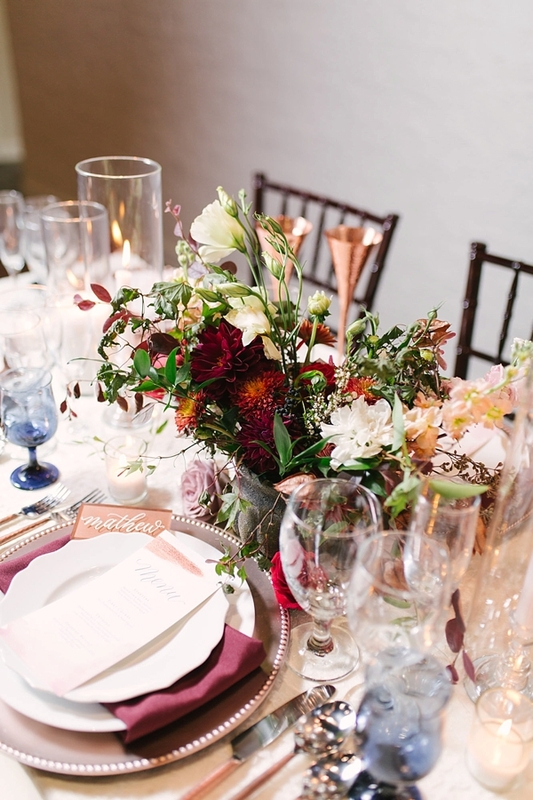 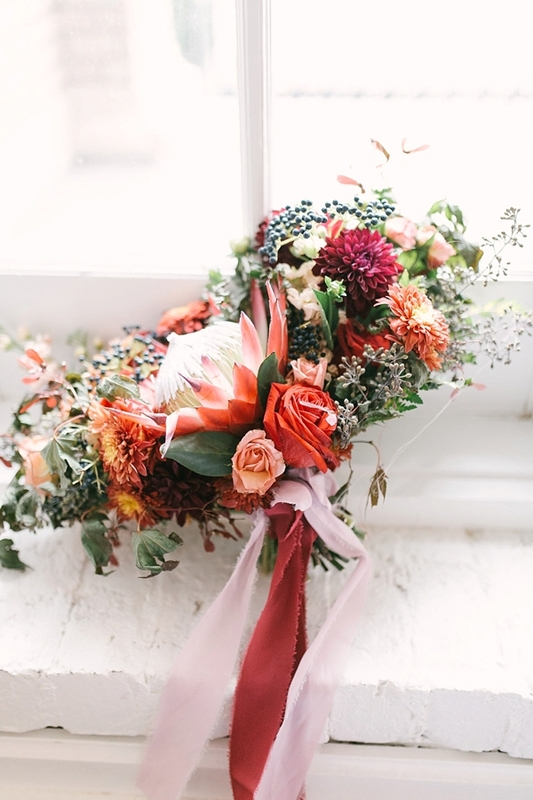 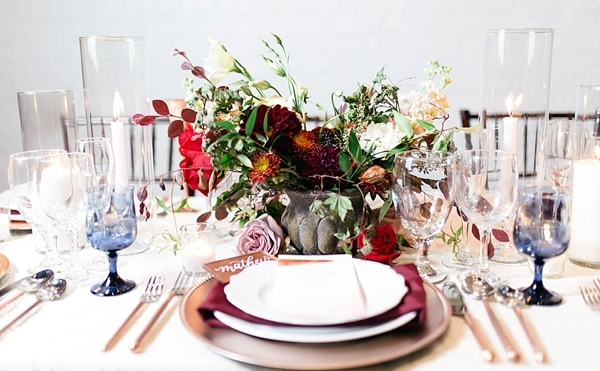 Wine-colored dahlias, giant king proteas, red and yellow mums, and seeded eucalyptus give plenty of texture that complements the smoothness of transparent and copper accents like the flatware and acrylic calligraphy place cards. 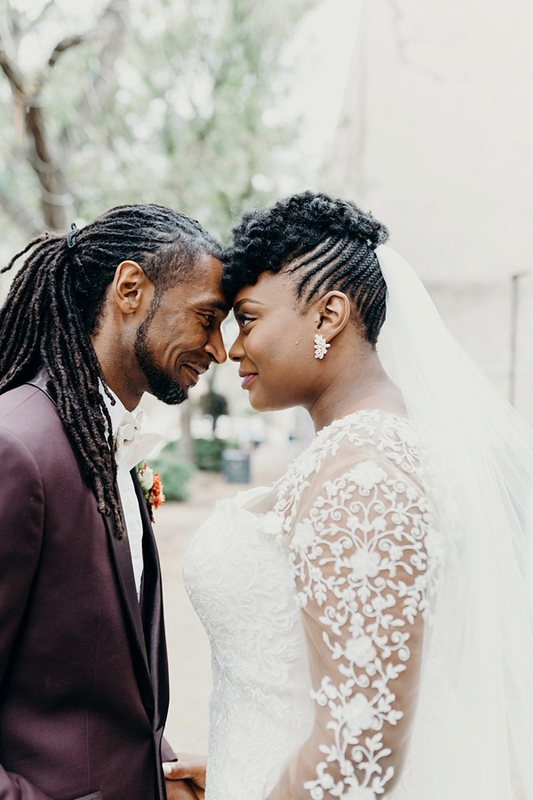 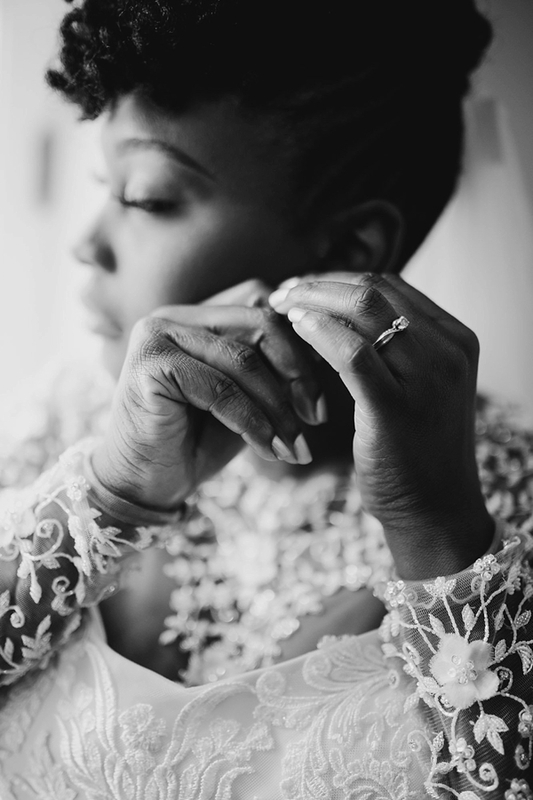 Captured by Cooper Photo and Film and designed by A Queen's Touch Events, this bride radiates bridal beauty with a natural updo with curls, braids, a crystal-embellished hairpiece, and a romantic cathedral veil while the groom dons a stylish three-piece chocolate suit, cream bow tie, and a cheerful orange boutonniere. 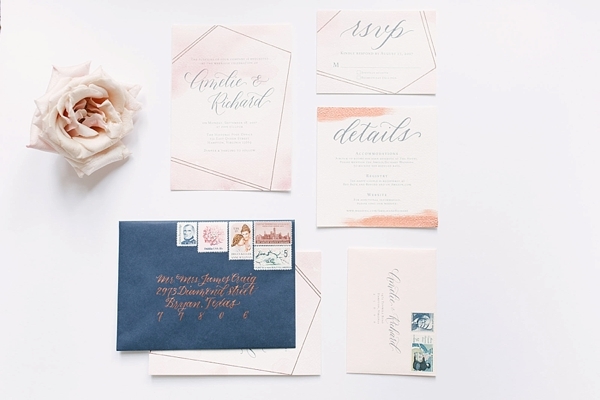 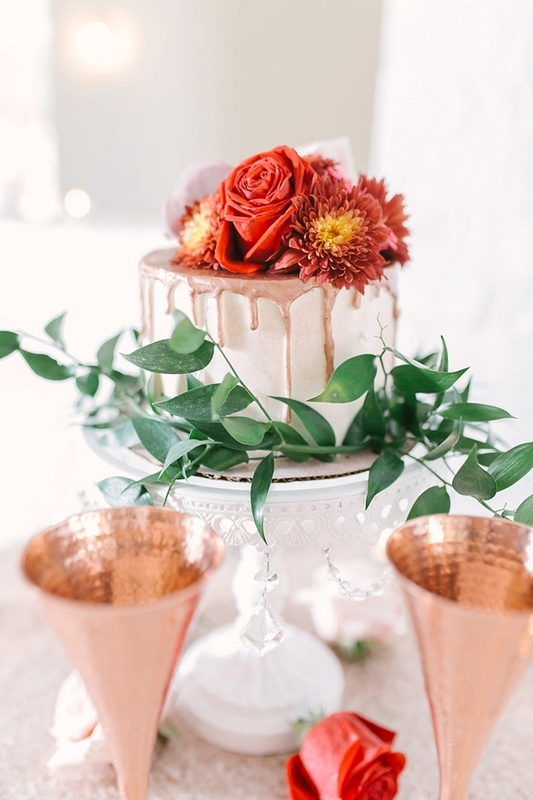 In this inspiration, we especially love the copper drippy cake, geometric wedding invitation, and the timeless wedding dress sleeves delicately embroidered with a floral motif. 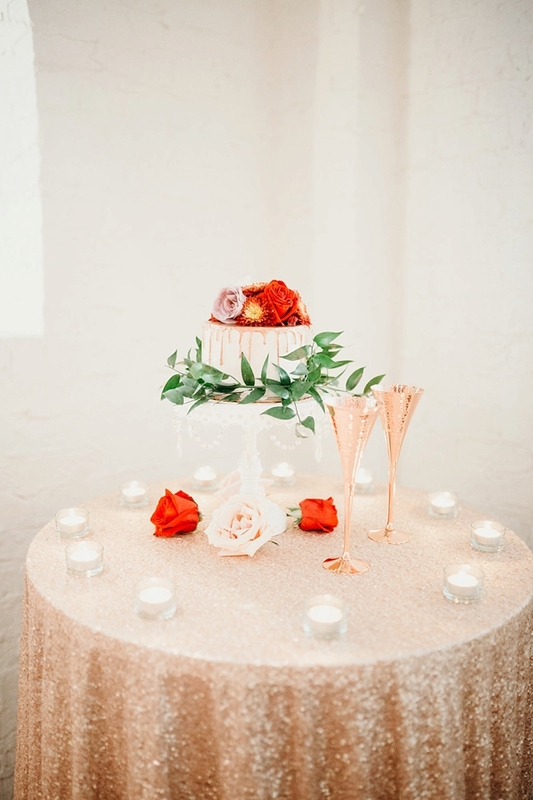 Modern meets shimmery classic never looked so good!